The most profound way you can honour Eva’s life is to become an organ donor. Know of organ donor registration sites for other countries we could share? Let us know! 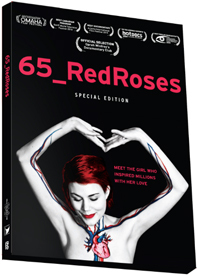 Give $50 to the #4Eva Campaign and we'll send you the DVD as a thank you! Make sure to include your shipping address. Of course, we gratefully accept your other donation amounts too. Donate $50 and we'll send you the DVD free! Make sure to include your shipping address.